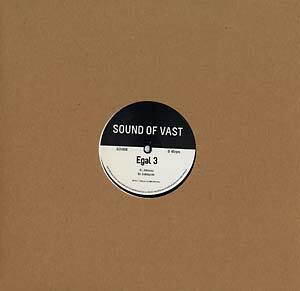 Egal 3 returns to Sound of Vast, following 2014's The Shades (SOV 001EP), with two even stronger tracks. "Altfelnu" opens with a strong beat and a deep, dubby bassline before a kicking piano melody unexpectedly appears -- the combination between deep bass and piano is just perfect. On analog-only track "Sidebyside," you can feel the deep, tight groove made with an analog drum machine and a modular synth -- guaranteed to work on the floor, touching peoples' ears and hearts.